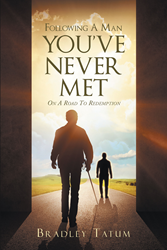 “Following a Man You’ve Never Met: On A Road to Redemption” from Christian Faith Publishing author Rev. Bradley Tatum is an informative discussion on how people can address the questions in their spiritual travels in life and how they will come in contact with a Man who provides the answers. “Following a Man You’ve Never Met: On A Road to Redemption”: a thorough discourse on the path of a Christian’s spiritual journey. “Following a Man You’ve Never Met: On A Road to Redemption” is the creation of published author, Bradley Tatum, a three-generation pastor who has served with mission teams in countries as close as Jamaica and as far away as Moldova. Published by Christian Faith Publishing, Bradley Tatum’s new book is an engaging outlook on humankind’s journey to eternal life and how a Man could become the reader’s guide and help them become a proficient traveler to salvation. The testimonies in this book are presented with evidence. In this way, readers will be motivated in discovering how vital it is to follow the righteous path. View a synopsis of “Following a Man You’ve Never Met: On A Road to Redemption” on YouTube. Consumers can purchase “Following a Man You’ve Never Met: On A Road to Redemption” at traditional brick & mortar bookstores, or online at Amazon.com, Apple iTunes store, or Barnes and Noble. For additional information or inquiries about “Following a Man You’ve Never Met: On A Road to Redemption”, contact the Christian Faith Publishing media department at 866-554-0919.